I wrote this quite some time ago but was reminded of it recently as I was thinking about how much things (or mainly I myself!) have changed over the last two, almost three, years since I became a mom. Accepting God’s plan for my life - that’s something each of us needs to do at some time in our life. Each plan is in some way different from the next but each one has wonderful moments, times of uncertainty and days that are dark. For me, God’s plan includes a beautiful daughter–my own biological child, someone for whom I will always be grateful. However, I wasn’t always grateful for God’s plan especially before I met my sweet daughter face-to-face. In fact, the opposite was true–I avoided babies; was most certainly not a ‘baby’ person; dreaded the arrival of children; almost-but-not-quite wished we wouldn’t be able to have our own to avoid those newborn days I so much feared. I felt so ignorant and naive about baby care; I disliked the thought of having another person with me constantly, someone who required twenty-four hour care; I was apprehensive about my mothering abilities and the list went on. Throughout my pregnancy I waffled between vague excitement and overwhelming discouragement. I was enthused about the few baby things I considered fun: decorating the nursery, choosing announcements, picking a name, but even these were stressful at times. Finances were exceptionally meager and shopping for clothing and all the many, many baby accessories and furniture was often completely overwhelming. I felt terribly guilty and thought of the many women–even dear friends of mine–who longed for a baby. How could I dare to share such a dark struggle with anyone, especially a childless friend? Finally our tiny infant daughter arrived. I was so exhausted but I knew I truly loved her immediately. In my fearful and negative state of mind during and pre-pregnancy, I had read and researched so much on the first few days and months of a baby’s life and I was very aware that newborn babies sometimes arrived with birth marks and other not-so-pretty-at-first conditions and I was certain my baby would be one of those! Upon her arrival, the first thing my doctor said was, “She’s gorgeous!” and she was! There were absolutely no marks or pimples, she wasn’t bright red and she didn’t have a cone-shaped head! I would have loved her in spite of those, of course, but it felt like God really cared about me, even with all my doubts and misgivings, and had chosen to make my transition from mom-to-be to mom just a little easier. Still, many of the adjustments were overwhelming and difficult, just like I feared. There were dark times and discouraging days but God was near to help me through the difficulties and my husband, family and friends provided support and encouragement. And there was my daughter - so tiny and helpless but so perfect and charming in her own endearing ways. In the first few weeks and months, when we were just getting to know her, my husband and I would often admire her and say that God must have known she had to be perfect and gorgeous because He knew we wouldn’t be able to handle all the adjustments otherwise! We were in love with her and so grateful for God's care in those difficult learning days. It didn’t take long and she began to lose the angelic new-baby look but then her personality started to show up; for me, that’s one of the best things–something that more than makes up for changing dirty diapers, getting up at night, finding a somewhat-private place to feed her at a social function and all those less-than-exciting things we moms do. Observing my child and seeing her daddy in her eyes, actions, personality and mannerisms is priceless. Watching her interact with people and seeing a reflection of myself is a learning experience for me–sometimes the realization that this is exactly how I appear to others is startling–not to mention a bit alarming–and other times I’m pleasantly surprised! Now as I've had the privilege of experiencing more than two years of motherhood and am continually becoming more aware of what an incredible privilege and blessing I've been given, there have often been times when I felt that God might take my child away because I was so ungrateful. I admit sometimes I still have these thoughts. How could He have given me such a perfect and beautiful child when I was so ungrateful, so untrusting, so doubtful, so... shallow was a word that often came to me. God knows best though, doesn’t He? Truly He sees and knows all. He knew my daughter would teach me lessons I needed to learn; lessons that many childless ‘mothers’ may have already learned–lessons of patience, flexibility, love, suffering and trust. 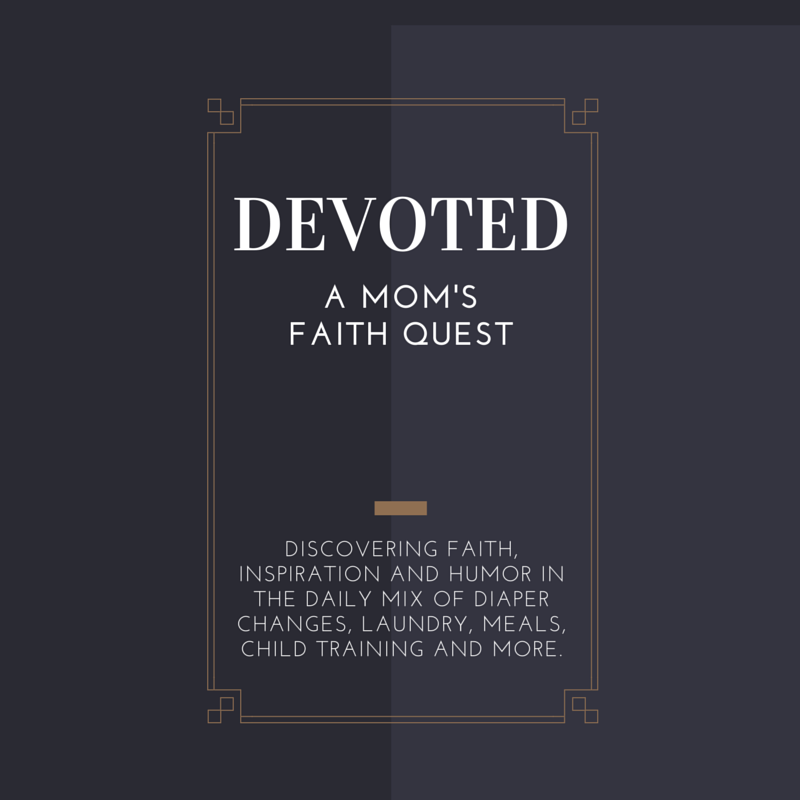 Yet perhaps with these lessons we all–would-be moms, someday-moms, new moms, experienced moms–have more common ground than ever before: learning to trust God to give us what He knows is best for our lives. Although in a sense my experience may be the opposite situation of many women who have shared about their journeys to motherhood and/or acceptance of God's plan for their lives, I chose to write my experience–with all respect to you who long for a child of your own and those who have loved and lost–so that others like myself will know that they are not alone in their struggles. Much courage to each of my Christian sisters in your individual quest to accept God’s plan for your life.